High Fructose Corn Syrup: High Fructose Corn Syrup: Is it killing you? 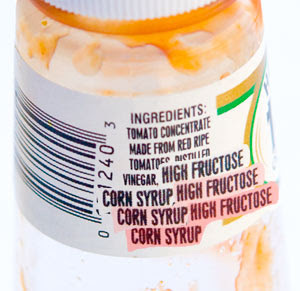 There has been much debate lately about High Fructose Corn Syrup. The scientists say that it may be unhealthy for you and make you fat. Where as a manufacturer for HFCS says that is not true. Well, here are the facts as we know them right now. Archer Daniels Midland, a company that makes HFCS, which is the main ingredient used in sodas, ketchup, barbecue sauce, cereals, snack foods and other processed foods says that HFCS does not make you fat. Health officials and many scientists have conducted studies that show that HFCS may lead to fat accumulation, obesity and other health problems. Nope wont make you fat but this stuff will kill you. I landed in the hospital for a month because this stuff. It gave me IBS, Diverticulitis and Kidney stones. Now I am very limited on what I can eat. EVERYTHING has this engine cleaner/ fuel source in it. I can’t eat anything prepackaged, now. No eating out, fast food or sit down restaurant. This stuff needs to be out lawed as a food product. But makes a great engine cleaner and a good fuel source BUT NOT FOOD!!!! !